Granite in the kitchen, wood floors, double pane vinyl windows, updated bathroom, roof installed 2014. Inclusions: Refrigerator, gas range/oven, washer, dryer, and 2 sheds in back yard. 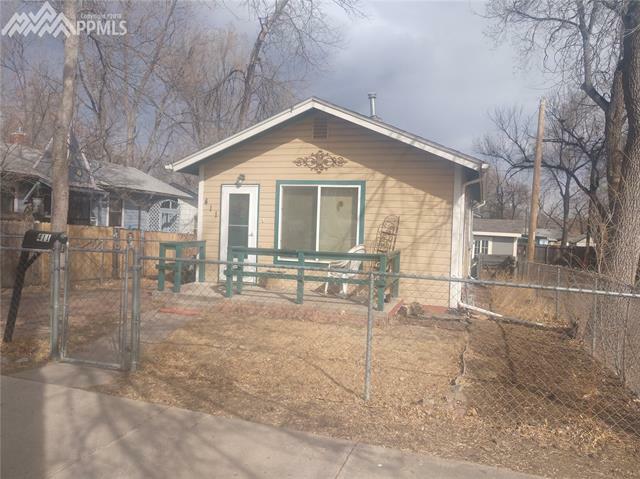 Fenced back yard, cute front porch, newer exterior paint, rare find centrally located near downtown, I-25, and Old Colorado City!